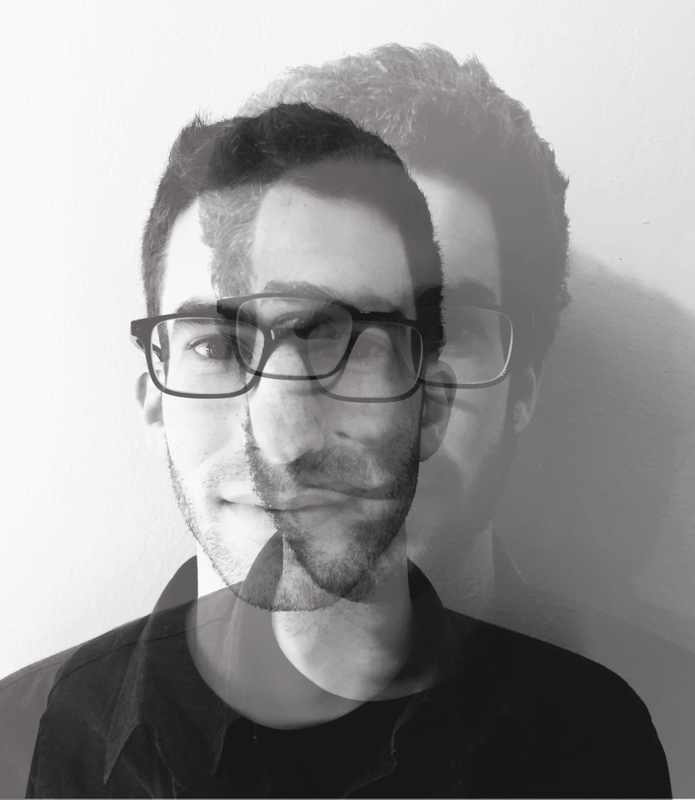 Scott Rubin (b.1989) is a composer and improvising violist whose work interrogates relationships between sound and movement through analog and digital means. His recent projects have involved collaborations with musicians and dancers, often making use of interactive acoustic/electronic improvisation and motion-sensitive live electronics. In these projects, he explores guided improvisation, peculiarities of auditory cognition and perception, and the discourse found when traversing different modes of music listening. Scott’s music has been played around the world by the Nouvel Ensemble Moderne, Ensemble Paramirabo, Quasar Quatuor de saxophones, Tenth Intervention, TAK Ensemble, cellist Juan Sebastian Delgado, Thin Edge New Music Collective, Inverted Space Ensemble, Eco Ensemble, Duo d’Entre Deux, Eventuell Saxophone Duo, Phoenix Quartet, Splinter Reeds, the Estrella Consort, Ensemble Gô, the McGill University Contemporary Music Ensemble, Ensemble Arkea, the University of Illinois New Music Ensemble, and numerous independent musicians. He has collaborations planned with the University of California Berkeley Symphony Orchestra and Berlin-based tubist Jack Adler McKean. Scott has collaborated with dancers/choreographers Christine Bonansea, Sarah Xiao, Manu Cyr, Louis Barbier, and Shoshana Green on projects staged in New York City, Hong Kong, Toronto, and Oakland. His music has been presented by the SALT New Music Festival and Symposium (Victoria, Canada), mise-en music festival (NYC), Emergents Concert Series (Toronto, Canada), l’Ensemble contemporain de Montréal+, Ottawa New Music Creators, Codes d’Accès (Montreal, Canada), the North American Saxophone Alliance, and 60x60 PianoForte Chicago. He has had workshops with Neue Vocalsolisten Stuttgart, Klangforum Wien, Ensemble Intercontemporain, Ensemble Transmission, the Danish String Quartet, and Meitar Ensemble. Currently, Scott is a PhD student at the University of California at Berkeley where he studies with Ken Ueno, Franck Bedrossian, Edmund Campion, and Cindy Cox. He is an active researcher at the Center for New Music and Audio Technologies. He recently earned his masters degree studying with Philippe Leroux at McGill University in Montréal, Canada. Previously, he earned a Bachelor of Music in music composition and a Bachelor of Science in psychology at the University of Illinois at Urbana Champaign, where his primary teachers were Reynold Tharp, Philipp Blume, and Stephen Taylor. Scott was also a student in the Experimental Music Studios, under the tutelage of Scott A. Wyatt. At McGill, Scott worked as a composer for the Auditory Cognitive Neuroscience Lab under Robert Zatorre, where he composes music to be used in music cognition experiments. Scott has studied music cognition with Stephen McAdams and Caroline Palmer. He has also studied with Mark Jude Tramo at the Institute for Music and Brain Science. Scott is co-founder and co-organizer for the Montréal Contemporary Music Lab. This is a week-long performance and composition workshop that focuses on the creation of new music through fostering collaborative relationships between performers and composers. He also performed improvised guitar for Speakeasy Electro Swing Montreal. His awards include the McGill University Graduate Excellence Fellowship, the Florence Gould Foundation Scholarship from the European American Musical Alliance, the Geraldine B. Cooke Scholarship from the University of Illinois, the UIUC School of Music Composition-Theory Area Achievement Award, and grants from SOCAN and the Music Graduate Students Society at McGill University. He has participated in the Modern Academy in Hong Kong, Impuls Academy in Graz, Austria, Recontres de Musique Nouvelle at the Domaine Forget Sessions in Charlevoix, Québec as well as the European American Musical Alliance Sessions in Paris, France.